Only fruit that has fallen already from the Baobab trees are collected, which discourages any damage to the host trees. A research and monitoring program gathers ongoing information about the overall health of the baobabs within the area they are harvested from. Baobab seedlings are nurtured in a tree nursery and as soon as mature enough, are planted out into the same communities from where the seeds are harvested. Ongoing environmental education and training has been established as crucial within the communities where the baobab is traditionally harvested for all sorts of purposes beyond just the harvesting of the fruit. 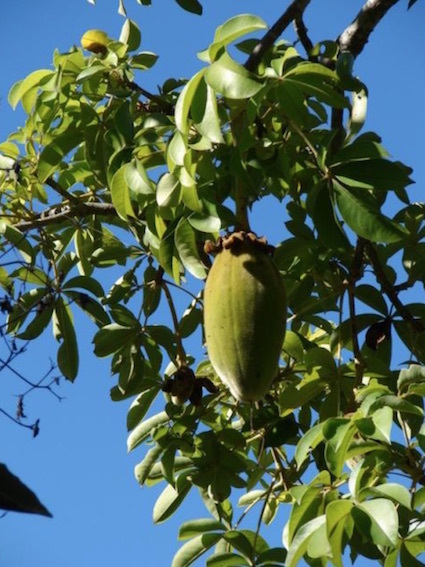 Why is Baobab seed oil so good for us? Essential fatty acids are a group of fatty acids acquired through ingesting the right foods, as our bodies cannot manufacture them. Essential for good body health, they must therefore be obtained through diet or topical application to the skin. Fatty acid molecules (metabolites) are required as part of the structure of cell membranes. They also form part of the process of producing prostaglandins, a hormone like substance, which help to regulate cell function. They also help water-proof the skin, or counteract an impaired barrier function, to maintain the impermeability of the skin and stop toxic substances penetrating the skin. Over exposure to the sun’s UV rays, poor health or immune systems and natural ageing processes, will typically result in these essential fatty acids being depleted. Steroids and such drugs can also deplete the skin layers of these natural fats. 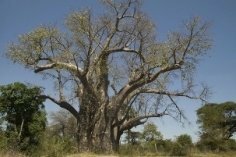 Topical application of baobab seed oil can help alleviate various skin disorders such as chronic dry skin, thin skin, chronic bruising and sun spots. It can be used for people suffering from eczema, psoriasis, dermatitis, skin cancer, scaly skin disorder and non-healing wounds, such as diabetic ulcers. When your skin becomes dry, the structure of your skin changes, increasing its vulnerability. Dermatologists’ term for this is an ‘impaired barrier function”, where water can escape more easily, resulting in dehydrated skin. Soaps and solvents are more easily able to penetrate your dehydrated skin layers, removing natural skin oils. Various weather conditions contribute to an impaired skin barrier, such as harsh winter weather with its cold and dry atmosphere which “pulls” water out of your skin. As your skin gets drier and drier, its barrier gets weaker and weaker, creating all sorts of skin conditions. Baobab seed oil, a 100% pure and natural plant based oil that is cold pressed to retain all its healing qualities, can be so helpful in building healthy skin or relieving dry skin conditions. The Baobab seed oil is extracted from the baobab seeds, which are found in the large capsule-like baobab fruit which hang down in great quantities from the baobab branches. The Baobab fruit grows throughout the savannahs of Africa and the baobab tree itself is a bit of an iconic emblem in these regions. The fruit matures during the dry season and drops off the trees when ready, allowing both humans and animals alike to harvest. People living in rural areas gather the fruit husks from beneath the trees and then it is collected and transported to a central processing facility. The processes here involve first extracting the seeds from the baobab fruit husk by cracking the hard outer capsule to release them, after which a tumbling machine removes their powder coating and then they are air dried in the hot sun. These seeds can actually be stored for many months before pressing if so required. The Baobab seed oil is then extracted by a large press, or expeller, which ‘squeezes’ the oil from the baobab seed. 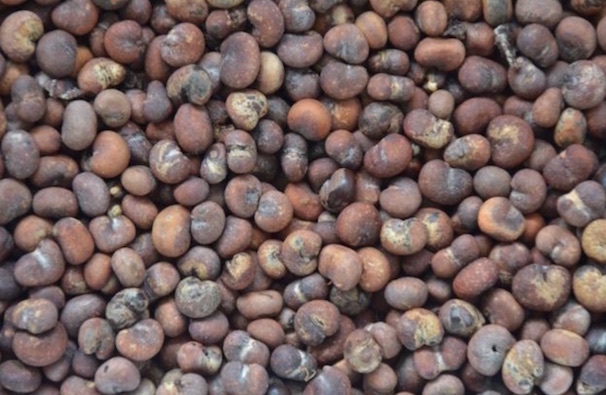 A cold pressing process of these seeds avoids any heated process which would destroy the valuable properties of the oil. The newly pressed oil is immediately filtered to help clarify the oil, which is then bottled. 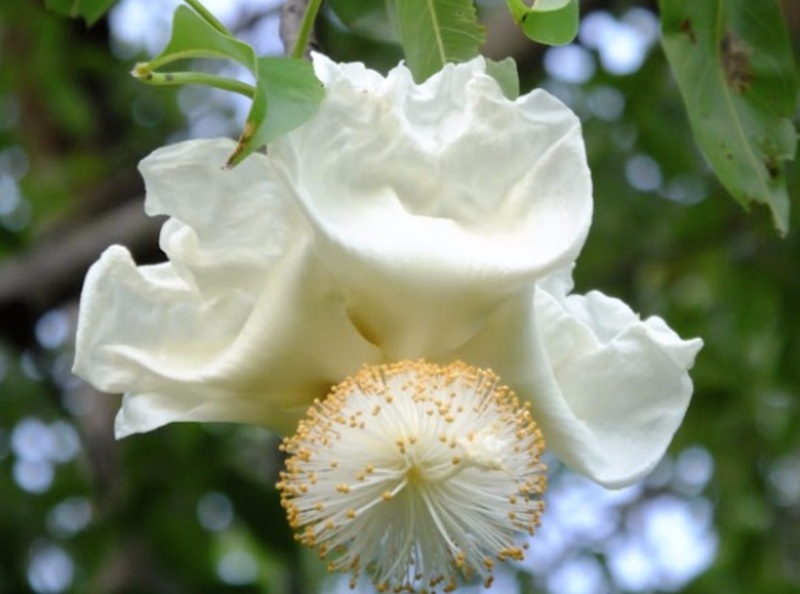 The baobab oil does not undergo any further refinement or processing and has no additives. As such, the oil is proudly acclaimed to be 100% pure, and the processes from beginning to end are Eco-certified. "For thousands of years, baobabs have made an important contribution to people’s livelihoods for food, fibre and medicine in Africa. More recently, the global trade in baobab powder and oil has become an important source of income for many rural families. EcoProducts works with rural people, producing baobab powder and oil which is then sold to the manufacturing and retail sectors. This provides the local Venda communities with employment and much needed income." The EcoProducts Foundation is a non-profit organisation, "making a stronger connection between global markets and the source of baobab fruit. It allows benefits to flow directly to the care of these ancient trees as well as to the lives of the women and children who live around them." It's called Creating a Culture of Caring.